New analysis demonstrates that sales professionals focused on existing business close more deals by adopting a multi-threaded sales approach. We often hear from sales leaders that their reps know and have relationships with the most important people in their accounts—often times a key decision maker or champion. This is particularly true for account managers, who focus on retaining existing customers as well as sourcing new growth opportunities within those accounts. 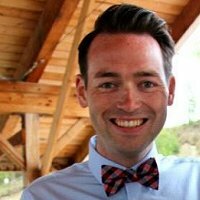 These account managers often invest in only one or two strong relationships during the deal cycle, which can be risky. A new data-driven analysis demonstrates the importance of developing and nurturing multiple relationships at an account, especially when you are focused on retaining existing business. This expands on previous analyses, where we analyzed over 600k sales opportunities to better understand how the connections and relationships we establish into an account drive win-rate. Specifically, we analyzed the impact of multi-threading, that is, establishing multiple relationships (6 or more connections on LinkedIn) at an account. 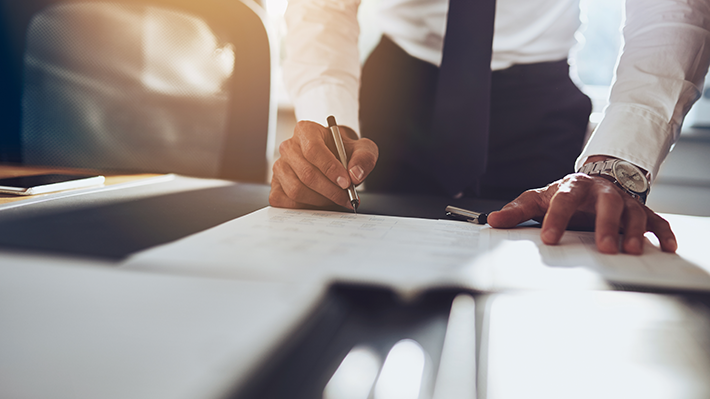 Account Managers who only invest in a few strong relationships within their accounts are potentially set up for risky renewal and upsell conversations. This is because every year relationships are put at risk due to combined internal and external turnover. In fact, we found that on average, 20% of decision makers turnover each year. This is particularly problematic since our analysis finds that only 10% of account managers are multi-threaded into their accounts. The remaining 90% are at serious risk of being left in the dark if their key contact moves. Our research found that having 6+ connections at an account increases win-rate. 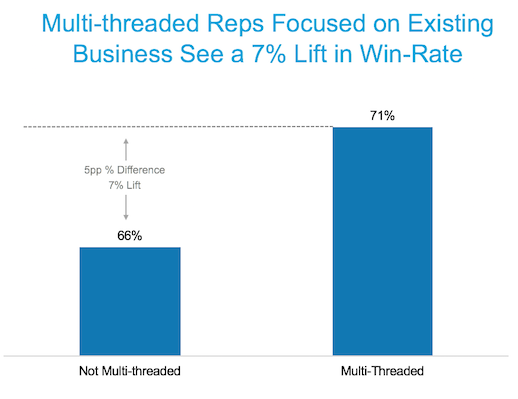 On average, those account managers focused on existing business had a 7% lift in win-rate when multi-threaded vs. not multi-threaded into an account. Across an organization, this lift in win-rate could really move the needle in terms of future revenue generation. Since account managers are focused on both renewals and growth in their accounts, we broke this down further by looking at the impact of multi-threading on both aspects of their business. 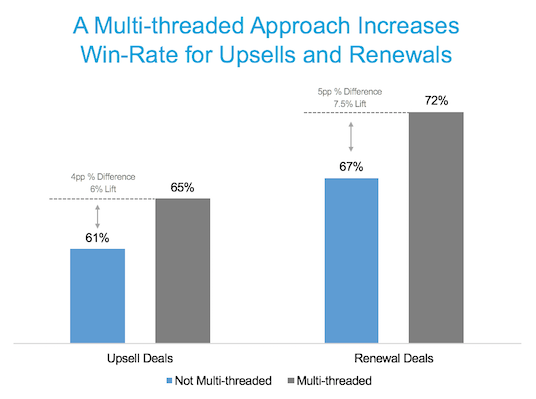 It turns out that multi-threading positively impacts both renewals and upsells--account managers see a 6% lift in win-rate for upsell deals and 7.5% lift in win-rate for renewal deals. Account managers focused on retaining existing customers as well as sourcing new growth opportunities benefit from developing and nurturing strong relationships into their accounts. The findings from this study demonstrate the importance of effective multi-threading at your target accounts on LinkedIn. Not only will multi-threading decrease the risk of you being left in the dark when one of your key contacts inevitably changes jobs, but our analysis confirms its positive impact on both upsell and renewal deals. Source: LinkedIn Internal Data. Sales opportunities analyzed from 2015-2016. Multi-threading defined as having 6 or more connections into an account to which you are selling.